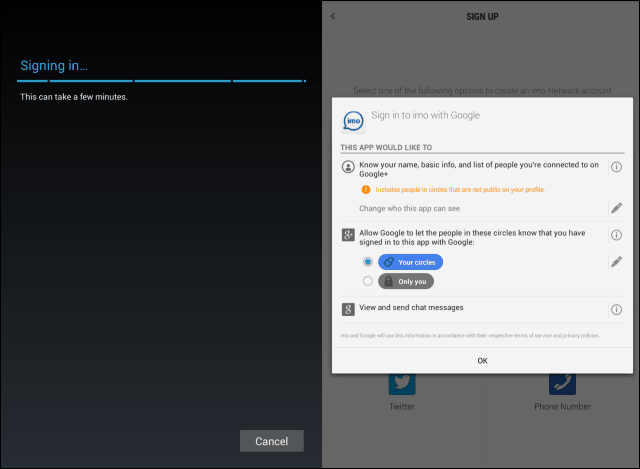 If you’re an Android user and frequent user of instant messaging (IM), I’m pretty sure you don’t enjoy having an app for each service that you’re using. 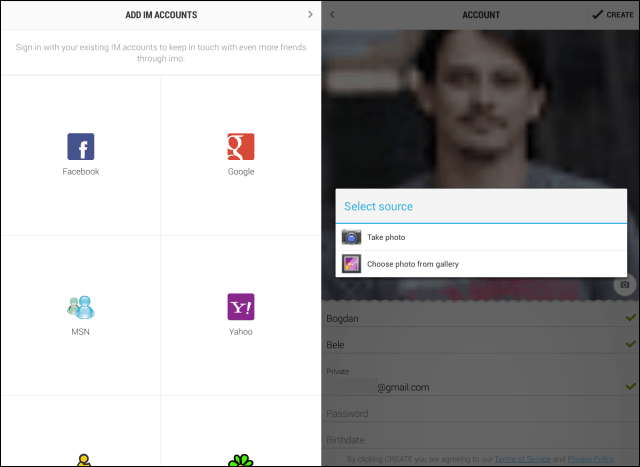 imo messenger is a great way to consolidate your accounts into one, and also get some perks on top of that. 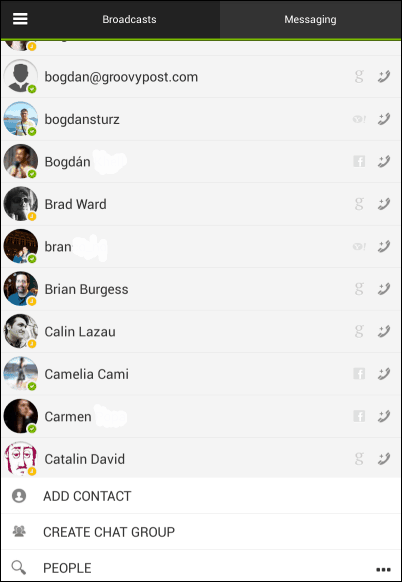 I like multi-client messaging apps on PC – I’ve been a fan of Digsby for years and have been using Pidgin, too, for a while. Recently, I ran into a pretty good solution for this problem to use on my Android device(s). The app is called imo messenger and it has a 4.4 score in the Google Play Store, where you can get it for free. Of course, I wouldn’t rely on the score alone, and I tested it for myself. It works with Android 2.0 and higher. Installing the app is done like you would any other one and, after the installation’s done, you’ll be able to sign in or sign up for an account. Signing up is easy using your phone number, Google+, Facebook, or Twitter account. I went with Google+ and after an approval to use my data, everything started working. I then started inputting the login data for the IM accounts I want to use with the app – it supports Facebook, Google, MSN, Yahoo, AIM, ICQ, Jabber, Hyves, VKontakte, and Steam. Basically every type of account you can think of, or didn’t even know existed. I then filled out some profile details and off I went. The app has a simple, clean, and easy to navigate interface. It had all my contacts from the services I was using, all in one place. It’s worth noting that you can, at all times, sign in or out of one account or the other. I noticed that a public broadcast feature exists, a sort of social network for imo users too. To chat, tap the contact you want to talk with and start the conversation. You also have options to send your location, as well as to send a voice message. 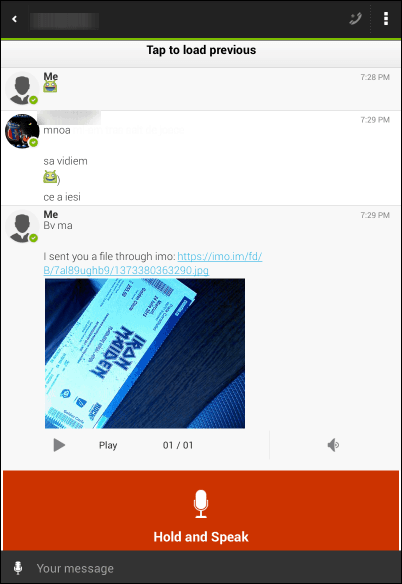 If they’re not on imo Messenger, they’ll get a link where they can listen to your voice message. If the contact is available, tap the tiny call button on the top right side of the chat window to initiate a voice call. This is actually a useful feature, if you’re on a WiFi connection, you can talk to your friends for free. If you prefer to use the service as a walkie-talkie, you can do that, too, using the button at the bottom of the chat window. 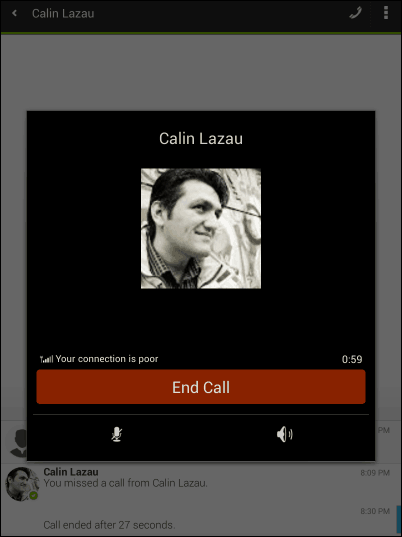 The voice call feature works pretty well if the connection is good and it could very well be used as a Skype replacement. The app has plenty of options should there be something that you think needs customizing, or tweaking. 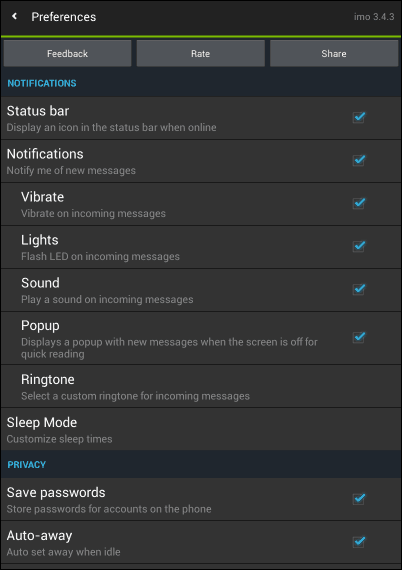 All in all, imo messenger is a great multi-messenger app for Android, it has some groovy features, and well worth giving a shot if you’re chatting all the time.